During a trip to Mexico we had a traditional breakfast of huevos rancheros. I quickly realized this was not scrambled eggs with salsa but rather a simple dish with fresh flavors that is incredibly satisfying. 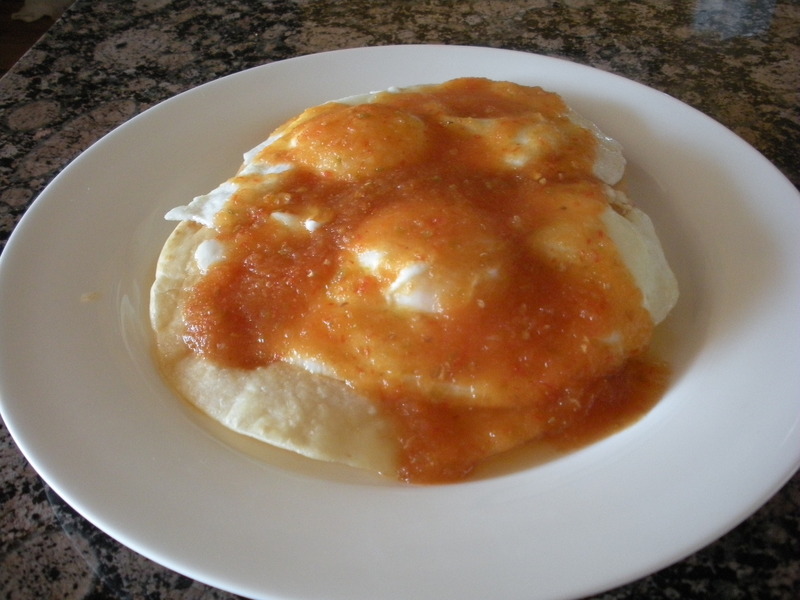 The mildly crisp tortillas are topped with the creamy yolks and balanced by the spicy salsa. Fresh, simple, easy…it doesn’t get much better than this. The salsa is incredibly simple. 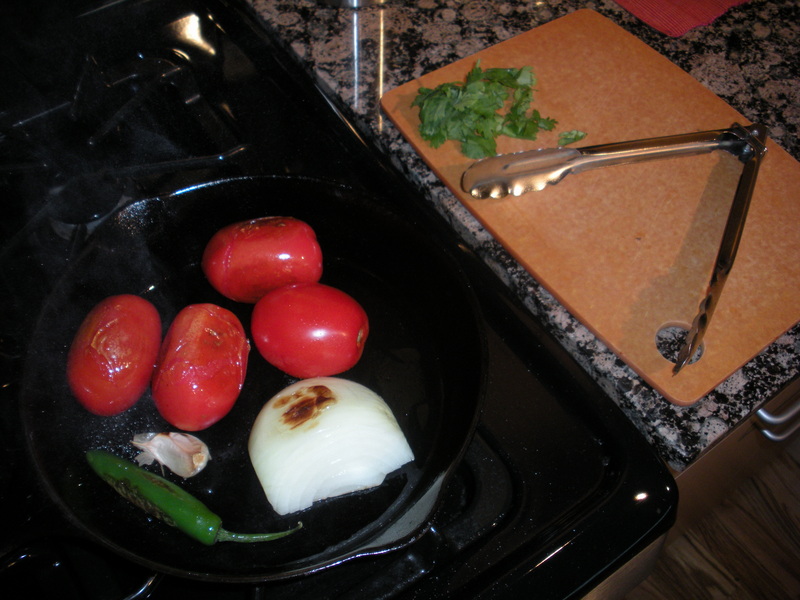 Each ingredient is pan roasted and then thrown into a blender with s/p and about 1/2 c. of water. The garlic is NOT peeled during roasting. This protects it from burning. The peel is easily removed after roasting. Posted in Autumn, What's for Dinner? I loved all these recipes! I want to make cinnamon chips as a snack now :) the sauteed spinach with garlic was a great reminder how easy it can be to serve a healthy side in no time. my only problem….when can I come over for dinner?!?!?! We need to plan our next date soon!